If you’re just beginning to drink red wine, or eager to try it, look no further than a good Merlot. Because of its lower number of tannins, a Merlot is great for those just starting out. Furthermore, Merlot can have different tastes depending on the climate it comes from. A cooler climate yields more chocolate and fruitcake flavors; while a warm climate yields flavors of blackberry, plum, and tobacco. So, depending on your natural palate, there is a great chance you will find a Merlot you enjoy. To create a wine from Merlot grapes is to finesse. These grapes are thin, and vulnerable to their environment. Once matured, they age in oak barrels. The final product—a fine tasting wine. 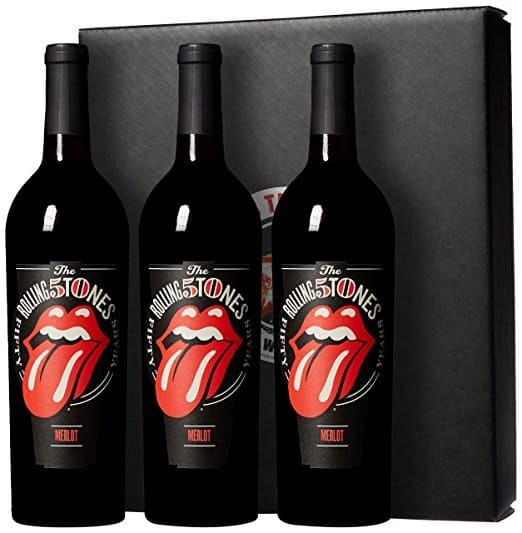 The rocker wine, Rolling Stones Forty Licks Merlot is a prime example of a great tasting Merlot. Rolling Stones Forty Licks Merlot grows in Mendocino County, California. Where wine maker Mark Beaman strives to keep the wine brand on point. He chose Merlot specifically to make the Forty Licks forty song album, and its ability to remain a classic. Much like the rock and roll music of our lifetime, merlot is a model wine, which always impresses. 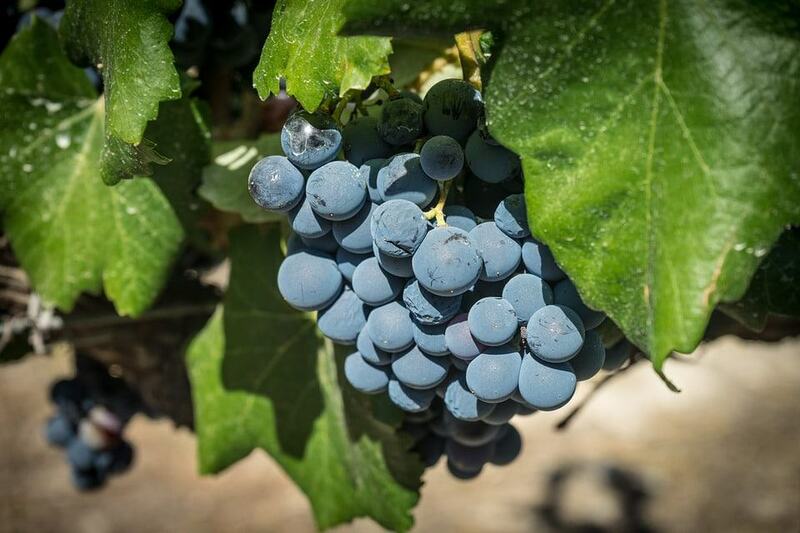 Merlot Fact: The Merlot grape is harder to grow than Cabernet. Although, it does have one bonus: It ripens a full two weeks earlier! If you cross the spectrum of age from seniors and baby boomers, to Millennials and whatever the name of the generation after, you’ll find we have something in common. Across North America (and I’d argue worldwide) almost every one of us recognizes the Rolling Stones brand and band. 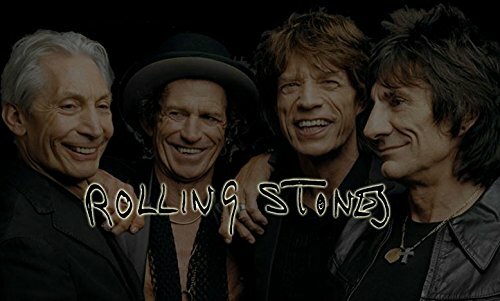 Considering this fact, and not mentioning their accomplishments, it’s easy to say that the Rolling Stones are a classic band. They are forever known, and loved. 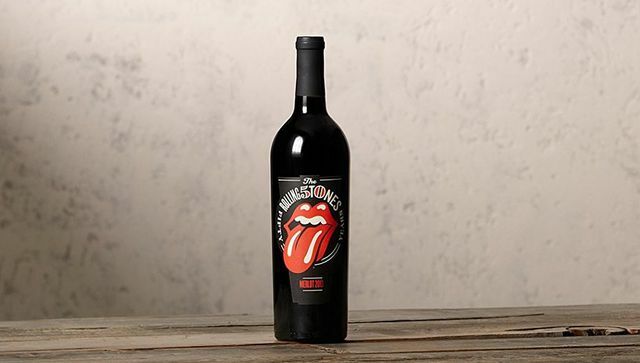 Similar to the band, Rolling Stones Forty Licks Merlot is a wine with the description. It’s a classic Merlot produced by Wines That Rock, ‘the official wine of rock n’ roll’. 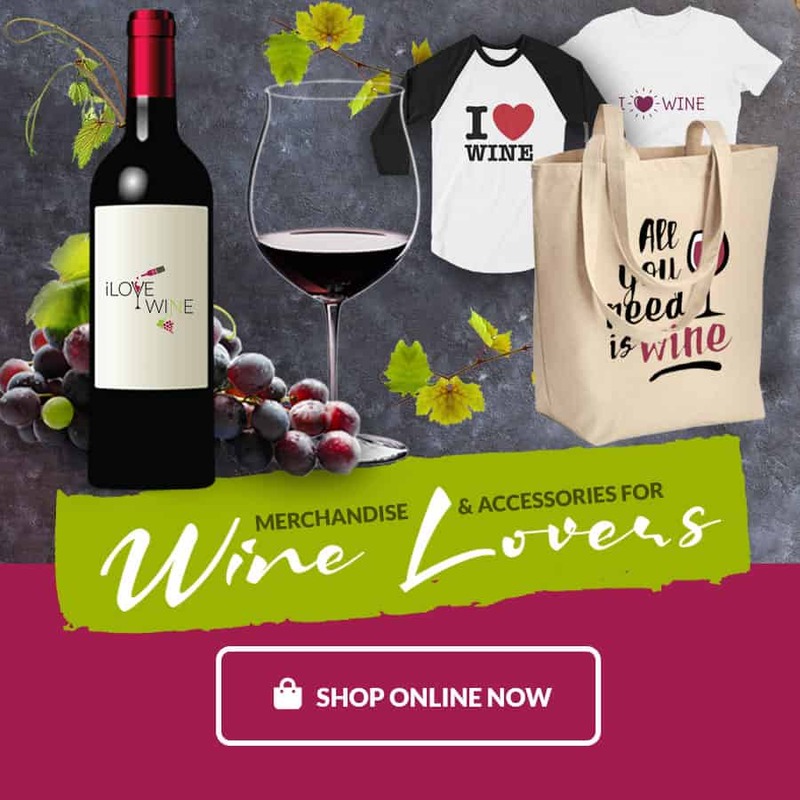 Their idea is simple and fun, with a goal to bring world class wines and brands together. Merlot Fact: Merlot translates to mean “Young Blackbird”. A name chosen either because of the grape’s dark color, or because blackbirds were a fan. No one can say for sure. Careful to withstand the test of time, and avoid getting caught up in trends; this Merlot is a staple for its kind. Its food pairings are staples too, including grilled beef, herb-roasted chicken, and even a nice smoky chili (yum!). 1. In a large, heavy-bottomed pot over medium-high heat, cook bacon, stirring until it just begins to brown, about 4 minutes. Add onion, lower heat to medium, cover, and cook, stirring occasionally, until translucent, 4 to 7 minutes. Uncover pan, stir in garlic, and cook 1 minute. 2. 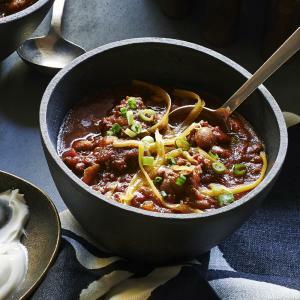 Increase heat to medium-high and add ground beef; break it up with a wooden spoon and stir gently until it loses its raw color, 7 minutes. Stir in spices and 1 tsp. salt and cook 1 minute. Add tomatoes, tomato sauce, beer, and Worcestershire and bring to a boil. Reduce heat to medium-low, cover partially, and cook 30 minutes. 3. Add beans and cook 10 minutes, uncovered. Season to taste with salt. Serve warm, with toppings on the side. Make it a night by buying a bottle of Rolling Stones Forty Licks Merlot on Amazon, having a few friends over, and cooking up a generous portion of comfort food. Don’t forget the tunes!